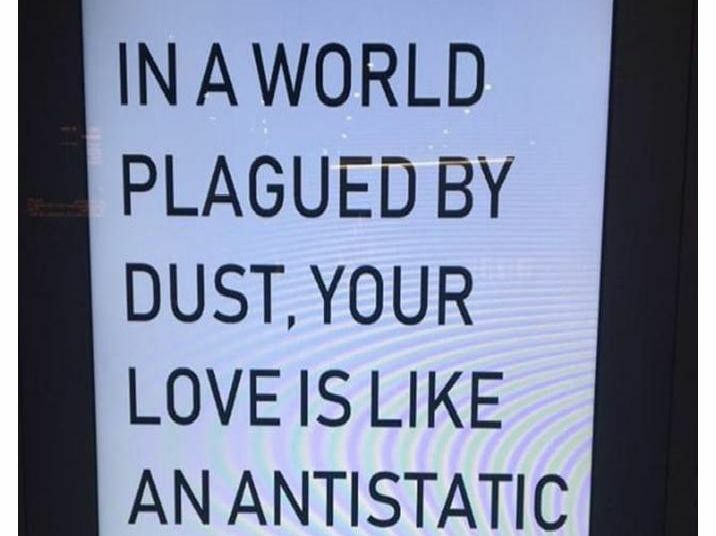 James McInerney's life-affirming poems are taking over the information boards of London's tube stations. From Covent Garden to Tower Hill, the short works by the Abington-based scribe are quickly spreading across the capital. Here is a quick look at some of his works as they appear on the information boardings of the city's tube and train stations.